8.2 out of 10 based on 90 verified user reviews via Agoda. Set in a prime location of Chiang Dao, Baan Famui puts everything the city has to offer just outside your doorstep. The property features a wide range of facilities to make your stay a pleasant experience. Free Wi-Fi in all rooms, Wi-Fi in public areas, car park, restaurant, laundry service are there for guest's enjoyment. Guestrooms are fitted with all the amenities you need for a good night's sleep. In some of the rooms, guests can find television LCD/plasma screen, clothes rack, mirror, towels, internet access - wireless. Take a break from a long day and make use of garden. Convenience and comfort makes Baan Famui the perfect choice for your stay in Chiang Dao. 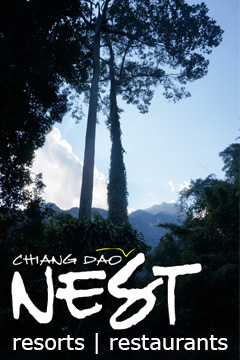 Baan Famui - Chiang Dao classifies itself as a 2.5 star hotel.